I haven't seen much about this article in the blog world. However, that said - I don't read dozens of blogs. Maybe a baker's dozen. 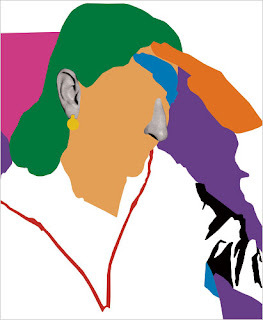 Anyway, the NYTimes covered Miuccia Prada's foray into the art world. Actually, she's been running the Prada Foundation for quite a while now working with artists such as Dan Flavin, Thomas Demand, Carsten Holler and even Quentin Tarantino. Her "foundation commissions, on average, two artists a year to do large-scale or otherwise ambitious works, the kinds of things they dreamed of doing but had neither the resources nor the opportunity to do." I mean, I don't know at what point in their career these artists were commissioned for their work but as a side note these artists have shown in the MOMA and the MET. Hardly the starving artist crowd. Or, perhaps they were better known after the miu-blessed commissions. Regardless, I wanted to discuss this article because of the obvious connections between the art world and the fashion crowd. Whether it's been mutual disdain or an exchange of inspiration, both groups have acknowledged each others influence on each other for many, many years. Check it here for yourself - I will leave you with my favorite quote. She strikes me as first an admirer then a nerd then a creative. Decades after global success she still seems to me like another entrepreneur who just wants to pursue her side hobby.